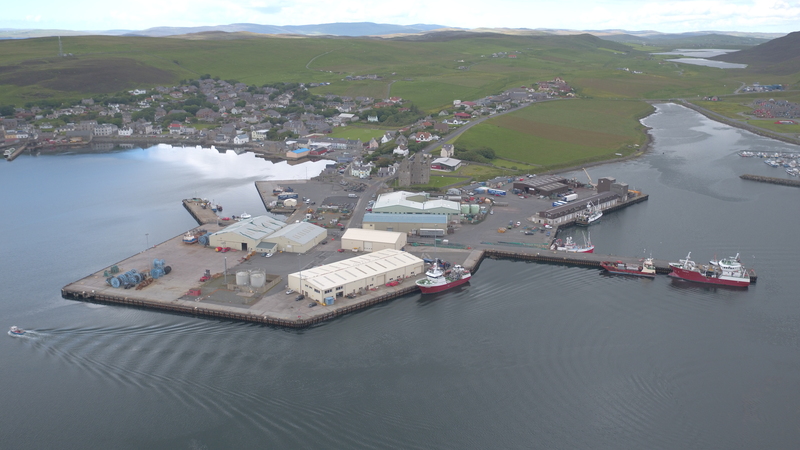 Located on the west coast of mainland Shetland, Scalloway Fishmarket is due to begin works next week on the construction of a new market facility. Over recent years, the harbour has seen an increase in the volume of fish landed and the new facility will increase economic benefits from the island’s most valuable resource. As the main contractor, CHAP Group will begin clearance and demolition works on Monday marking the start of a 16 month contract which is due to finish by March 2020. The project consists of the demolition of the existing fishmarket prior to the construction of a steel framed building with integral auction hall and welfare facilities, chilled compartments with transport corridor and the installation of loading bays. External works to the yard area include lighting, electrical and drainage services. CHAP successfully completed the recent construction of the new fishmarket in Peterhead which was officially opened last month by the HRH Prince Charles.